Upgrade your SS Camaro’s suspension with the same parts used in the 1LE Trak-Pak. 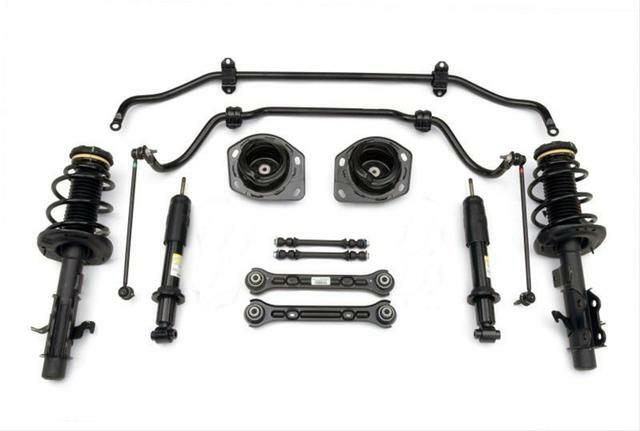 This kit features a stiffer 27mm solid front stabilizer bar and a 28mm solid rear stabilizer bar for improved body control in cornering. The front struts were redesigned with improved damping curves for more body control and quicker response times. It also includes new faster reacting rear monotube shocks to replace the SS twintube design and combines them with a stiffer rear upper shock mount to increase vehicle agility, both are shared with the ZL1. The bushings in the rear toe link are replaced with spherical bushings to eliminate compliance in cornering, which is also common with the ZL1.